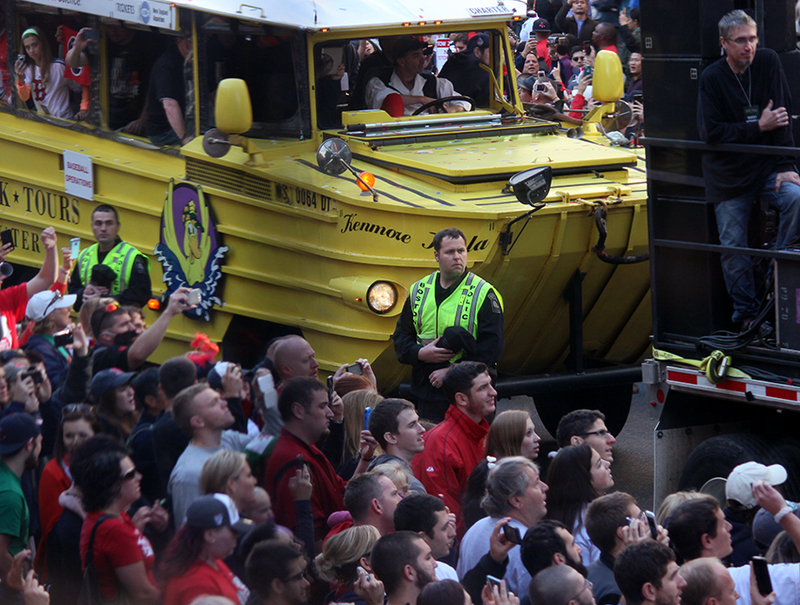 Celebrate the Pats' big win with the traditional duck boat parade through the city. By Yiqing Shao·	 2/2/2015, 11:15 a.m.
Update, 5:30 p.m.: Due to bad weather, the Mayor’s Office has announced that the Super Bowl victory parade will be postponed to Wednesday, February 4, same time, same route. Cue the duck boats! 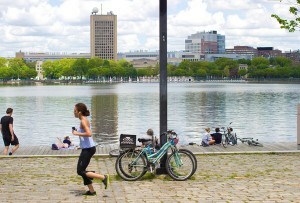 Cue the duck boats! CUE THE DUCK BOATS! You all tweeted it Sunday night, and the city heard you. The parade celebrating the New England Patriots’ win against the Seattle Seahawks in Super Bowl XLIX will take place Wednesday, 11 a.m., starting at Prudential Tower and ending at City Hall on Boylston and Tremont Streets. Due to Winter Storm Linus piling on the snow Monday, the city decided to postpone the parade by a day, originally scheduled for Tuesday. Make your way out to cheer for your beloved Pats. They did their job, now you do yours.